Bhubaneswar: Bhubaneswar becomes the fourth National data centre of National Informatics Centre (NIC) after Delhi, Hyderabad and Pune.The new cloud-enabled National Data Centre aims to offer round-the-clock operations with secure hosting for various e-governance applications of Central and State Governments and has ability to support 35,000 virtual servers. Unveiling the data centre Union Minister of Electronics & IT, Sh. 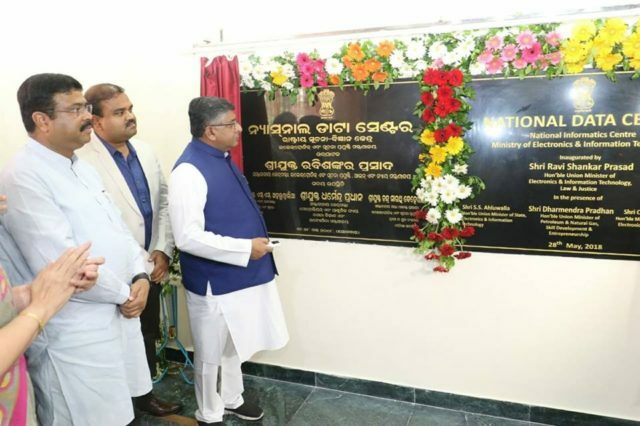 Ravi Shankar Prasad said that this data centre in Bhubaneswar is of global standards. Emphasizing the significance of the new national data centre, Sh. 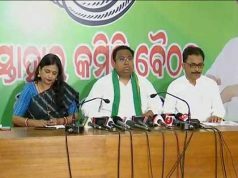 Prasad further said that Data centre is important because data sanctity is important and in the IT ecosystem, data centre adds to the digital clout of a State or location and raises its global profile. Minister for Petroleum and Natural Gas, Skill Development and Entrepreneurship Sh. Dharmendra Pradhan was also present on the occasion. The new cloud-enabled National Data Centre will provide benefits like on-demand access to ICT (Information and Communication Technology) infrastructure for easy availability and quick deployment of applications and standardized platforms of deployment. In the traditional model, Departments have to budget and procure infrastructure at the commencement of the project, leading to either over provisioning of infrastructure or under-sizing of the requirements whereas the cloud service offerings of NIC would allow departments to provision infrastructure and add to the computing capacity “on demand”.